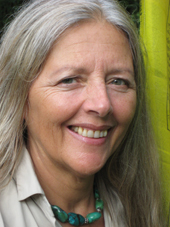 This week’s special guest on If You Love This Planet is Helena Norberg-Hodge, the founder and director of the International Society for Ecology and Culture, a non-profit organization whose mission is to promote systemic solutions to today’s social and environmental crises. Norberg-Hodge is a pioneer of the ‘new economy’ movement, and has been promoting an economics of personal, social and ecological well-being for more than 30 years. Trained in linguistics, she has given public lectures in seven languages, and has appeared on broadcast, print, and online media worldwide, including MSNBC, The London Times, The Sydney Morning Herald and The Guardian. Her groundbreaking work in Ladakh, or ‘Little Tibet’, earned her the Right Livelihood Award, or ‘Alternative Nobel Prize’ and her book, Ancient Futures, along with a film of the same title, has been translated into more than 40 languages. For more resources relevant to this interview, visit theeconomicsofhappiness.org. This entry was posted on Friday, October 5th, 2012 at 12:00 am	and is filed under Uncategorized. You can follow any responses to this entry through the RSS 2.0 feed. Both comments and pings are currently closed. This is the exact reasons why european people should vote no to the European Union. The European Union should be dissolved as fast as possible. I could write a very long novel about all the details, but I don’t think there is room enough here for that, and besides that, if people start to think just a little bit, they will realise it themselves.